A long-awaited hearing in the court battle between Uber and Waymo over allegedly stolen self-driving tech began today with a bang: Attorneys for Waymo, the name for Google’s self-driving car project, alleged that its former employee, Anthony Levandowski, launched autonomous truck start-up Otto as a ruse to help Uber steal its intellectual property. Levandowksi, the engineer at the center of the case, abruptly left Google in January 2016 to launch Otto, which was acquired several months later by Uber for $680 million. “We’ve learned that Uber and Levandowski together created a cover-up scheme for what they were doing,” Charles Verhoeven, a lawyer for Waymo, said in court, according to BuzzFeed. We’ve examined this case carefully before, and the timing is incredibly suspect, but this is the first time Google has ever come out and directly alleged a ruse to steal its technology. The hearing is focused on Waymo’s request for a preliminary injunction. If the judge overseeing the case, William Alsup, agrees an injunction is warranted, it could extend as far as barring Uber’s autonomous tech team from developing its hardware as the case proceeds. Alsup didn’t seem moved to go that far, according to reports. The story of how Levandowski left Waymo to start Otto is complex. 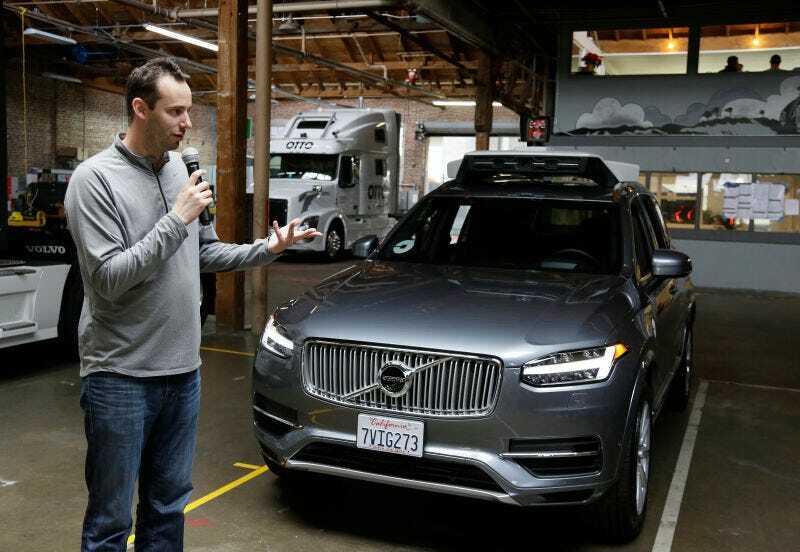 Waymo has asserted in court that Levandowski helped launch a pair of autonomous car competitors while still employed by Google, and those competitors happened to be purchased by Uber as soon as he left to launch his start-up. Waymo also disclosed evidence on Wednesday that Uber execs were talking about purchasing Levandowski’s company before it was even officially created. Uber has vehemently denied Waymo’s claims that it’s relying on the allegedly stolen files. The rest of the hearing is sealed, according to reports, as lawyers for both sides are discussing trade secrets relevant to the ordeal.